Celebrating 50 years in rock (1966-2016) Gene Simmons, multi-hyphenate entrepreneur, co-founder and front man of KISS, America's number one gold record award-winning group of all time in all categories (RIAA), and one of the most recognized performers in the world, today announced the unprecedented release of Gene Simmons: The Vault Experience in partnership with Rhino Entertainment. Gene Simmons: The Vault Experience commemorates and celebrates Simmons' notorious five-decade journey as a rock icon, offering fans around the world a limited-edition collectible 'Vault' with contents that offer a unique look into The Demon's colorful life, including never-before-released songs, photos, stories and collectible items. 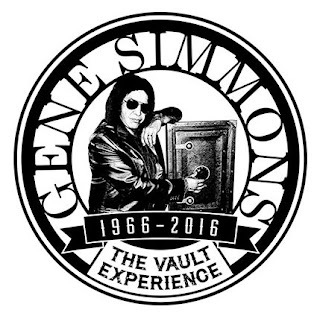 Additionally, every Vault will be personally delivered to each fan by Simmons himself. 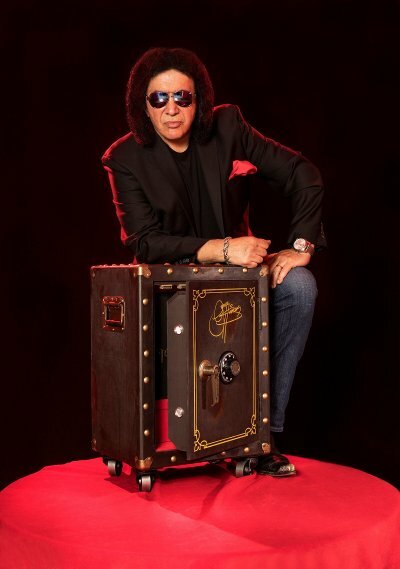 Gene Simmons: The Vault Experience begins with a personal delivery, by Simmons himself, of a numbered, limited-edition, 17" x 25" 38-pound Vault , during Simmons' Vault World Tour set to take place January 2018 through December 2018. During the one-on-one meet and greets with the delivery of the Vaults, Simmons will travel around the world, to a designated location to take photos and video with the fan and a guest, and sign autographs. In addition to the private meeting, fans will receive a Vault Pre-Pack* and join a small group of other fans for "Songs and Stories" from The Vault and a Q&A with Simmons. Within a month of purchase, fans will also receive via mail a Vault Pre-Pack featuring a USB including the first track "Are You Ready," a signed golden ticket, exclusive t-shirt, and a laminate. Ordering by December 5 will ensure delivery of the Vault Pre-Pack by December 23, just in time for holiday gift giving. "Any artist can release a boxed set, and never really thank the fans for their support," said Simmons. "I want to celebrate my 50th anniversary in rock WITH the fans, and I have had a blast putting something really special together for them.Gene Simmons: The Vault Experience gives fans something truly unique that they can keep forever, and it gives me a chance to personally thank them for all of their support over the years." "What Gene and Rhino have put together with The Vault Experience is truly unprecedented. We have taken the idea of a boxed set to a completely different level," says Mark Pinkus, President of Rhino Entertainment. "As a card-carrying member of the KISS Army from a young age, I'm honored to be working with Gene on such an exciting and innovative project. His fans are going to be absolutely blown away by The Vault Experience. " Launching December 2017 in the U.S. and in cities around the world, the Home Experience includes a personal delivery of The Vault to the fan's home by Simmons himself; one of the first 300 limited-edition numbered Vaults; two hours with Simmons at the fan's home (or location of their choice) for a special event with up to 25 friends and family; photos, videos and autographs; an intimate "Songs & Stories" playback session and Q&A with Gene; and a Vault Pre-Pack for all guests in attendance.